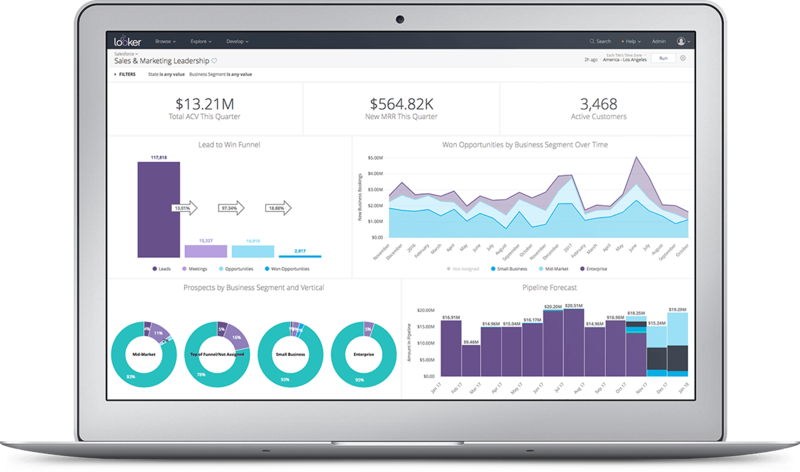 Looker allows anyone in your business to quickly analyze and find insights in your datasets. By connecting directly to your Snowflake data warehouse, Looker helps lay the foundation for a truly data-driven organization. Looker’s in-database architecture fully leverages the speed and power of Snowflake’s built-for-the-cloud MPP database.